Kadho, a company building automatic speech recognition technology to help children communicate with voice-powered devices, is officially exiting stealth today at TechCrunch Disrupt SF 2018 where it’s launching its new technology, Kidsense Edge voice A.I. The company claims its technology can better decode kids’ speech as it was built using speech data from 150,000 children’s voices. The COPPA-compliant solution, which is initially targeting the voice-enabled devices and voice-enabled toys market, is already being used by paying customers. As anyone with an Echo smart speaker or Google Home can tell you, today’s devices often struggle to understand children’s voices. That’s because current automatic speech recognition technology has been built for adults and was trained on adult voice data. Kidsense.ai, meanwhile, was built for kids using voices of children from different age groups and speaking different languages. By doing so, it believes it can outperform the big players in the market like Google, Samsung, Baidu, Amazon, and Microsoft, when it comes to understanding children’s speech, the company says. The company behind the Kidsense AI technology, Kadho, has been around since 2014, and was originally founded by PhDs with backgrounds in A.I. and neuroscience, Kaveh Azartash (CEO) and Dhonam Pemba (Chief Scientist). Chief Revenue Officer, Jock Thompson, is a third co-founder today. Initially, the company’s focus was on building conversational-based language learning applications for kids. The team realized there was a bigger problem to solve. Teaching kids new language using conversational techniques couldn’t work until devices could actually understand the kids. The company shifted to focus instead on speech recognition technology, using a data set of kids voices (which it did with parents’ consent, we’re told), to build Kidsense. The initial product was a server-based solution called Kidsense cloud AI in late 2017. But more recently, it’s been working on an embedded version of the same platform, where no audio data from kids is collected, and no data is sent to cloud-based servers. This allows the solution to be both COPPA and GDPR-compliant. This also means it could address the needs of device makers who have been previously come under fire for their less than secure toys and robotics, like Mattel’s Hello Barbie, or its canceled A.I. speaker Aristotle. The idea today is that toy makers, smart speaker manufacturers, and others catering to the kids’ market will need to be compliant with more stringent privacy laws and, to do so, the processing has to be done on the device, not the cloud. For example, a toy company working with thin margins on a product with a really small lifespan might want a flat fee. But another company may have a product with a longer lifespan that they charge their own customers for on subscription. They may want to be able to update their product’s voice tech capabilities over-the-air. That’s also possible here. The company says its technology is in several toys, robotics, and A.I. speaker products around the world, but some of its customers are under NDA. It’s also testing its technology with chip makers and big-name kids’ brands here in the U.S.
On stage, the company also showed off its latest development – dual language speech recognition technology. This is the first technology that can decode two languages in one sentence, when spoken by kids. This is an area smart speakers and their related voice technology are only now entering, within the adult market that is. For example, Google Assistant is preparing to become multilingual in English, French and German this year. Currently, the company has approximately $1.2 million in revenue from customers on annual contracts and its SaaS model. It’s been operating in stealth mode, but is now preparing to reach more customers. To date, Kadho has raised $2.5 million from investors including Plug and Play Tech Center, Beam Capital, Skywood Capital, SFK Investment, Sparks Lab, and other angel investors. It’s preparing to raise an additional $3 million before moving to a Series A. There is a tension between centralism and decentralism and it is a political dynamic as old as civilization. The decentralized dream for cryptocurrencies is to remove the value draining middle-men. 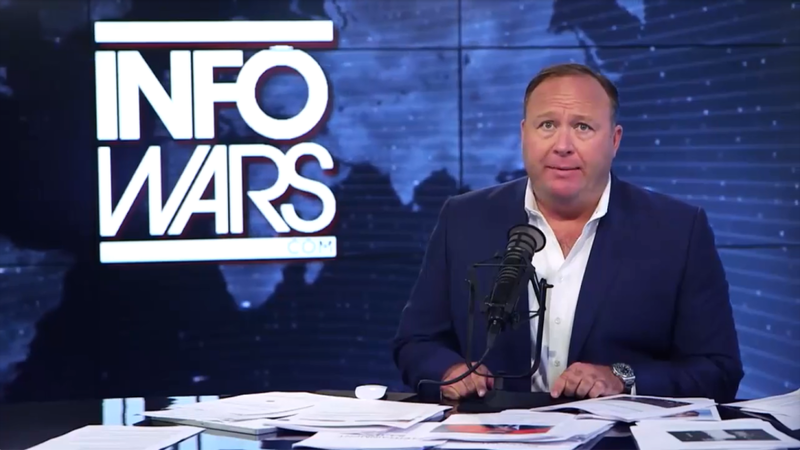 After weeks of controversy, Twitter officially banned conspiracy theorist Alex Jones and his InfoWars site from its platform. The social media company tweeted out the decision from its Twitter Safety account Thursday afternoon, stating that it permanently suspended Alex Jones and InfoWars after both accounts posted tweets and videos that violated the company’s abusive-behavior policy. Previous violations also contributed to the decision to ban both accounts. Last month, Twitter gave Jones a small punishment for his inflammatory behavior on the platform—a one-week suspension that prevented Jones from tweeting or retweeting from his personal account. That came after users flagged a video that Jones posted to Twitter in which he encouraged his supporters to ready their weapons against the media and other groups. The bodies of 166 people have been found in the Mexican state of Veracruz, prosecutors said on Thursday, the latest in a string of grim discoveries made in the eastern region in recent years. The attack on Sergei and Yulia Skripal was discussed at the UN Security Council. Twitter is showing some users of its desktop website a new user interface that is designed to be faster and to feature support for the recently added bookmarks feature (supported in the iOS and Android clients but not, currently, the main website), a data-saver mode, and a night mode. These users have been selected at random and moved over to the new interface so they can test the interface and provide feedback. The new interface isn’t all that different from the old one: it’s organized a little differently, with a two-column layout instead of the three columns currently used, but overall it will feel familiar to anyone who has used the microblogging platform before. What makes this move interesting isn’t the specifics of the interface itself, but the technology it’s built on. The new interface isn’t actually new at all. It has been available for some time now as mobile.twitter.com, Twitter’s mobile-friendly Web interface. In turn, that same Web interface is used to drive the Windows 10 app, the KaiOS platform for “smart feature phones,” and the recently released Twitter Lite app for Android. This is why it has the data-saver mode; it has been designed with an eye on those users who suffer from poor or expensive bandwidth or have underpowered devices. Nigerian teenager Chinedu Michael Okechukwu dreams of being a world-famous classical singer.